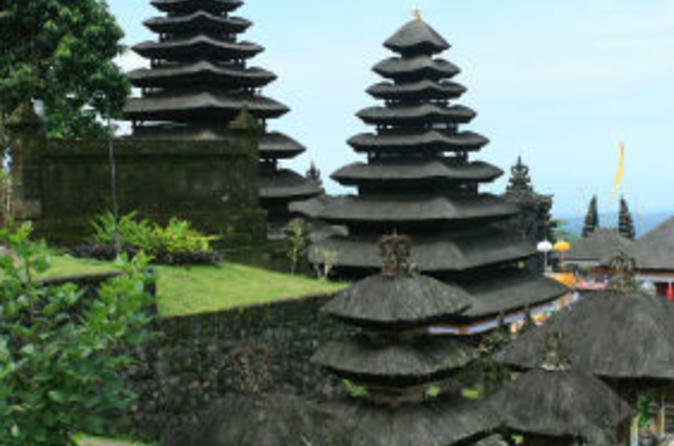 This minibus tour will take you on a scenic drive 'off-the-beaten-track' with time to stop and appreciate the tranquil beauty of Bali, enjoying a personalized service for a maximum of 6 people. Your guide will enlighten you on the Balinese farming traditions, and you can get back to nature with short walks into the forest, remote villages and farmland. Once past busy Denpasar, you start to explore the unspoiled countryside and villages along the backroads. In the fertile volcanic foothills of Batukaru Mountains you'll see an abundance of tropical fruits, spices, vegetables and flowers. It is no wonder that the community here is considered Bali's farming elite. For the Balinese, cultivation of land is a creative art and a communal effort, and the people of Jatiluwih have created a true masterpiece - an endless and intricate jigsaw of finely curved rice terraces in brilliant shades of green, with glistening waters, so soothing to the eye. Then, travelling through thick tropical forest beneath Mount Batukaru you'll reach the remote Temple of Luhur.For Balinese Hindu's, this site has special mystical powers and only the Besakih Temple is more sacred - an ideal spot to meditate! There is also a 'rest stop' at a local restaurant (meals and drinks not included).